Burgers and White Russians are still what it's all about at this popular Finnieston pub titled and themed after the famously laid-back star of The Big Lebowski. 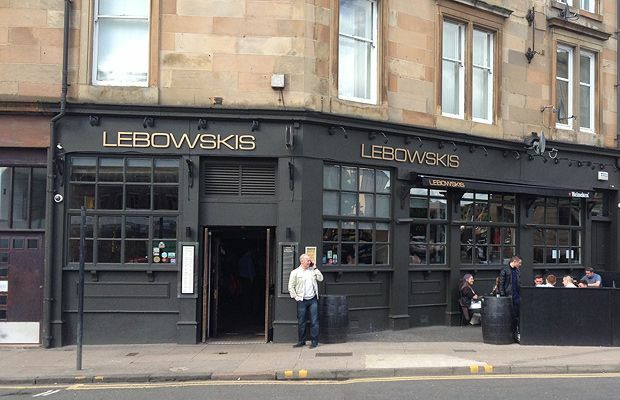 Compared to more recent Finnieston additions, it’s striking how comfortable Lebowskis is in what it does. With his White Russians, his gourmet burgers and his tenth birthday approaching, The Dude really is something of a founding father for the area, still enjoying as much footfall on Hydro gig nights as anywhere else (they’ve ramped up the emphasis on their own live music nights too). It’s a safe bet – beer is well priced, the spirits range is strong, and in addition to the sizeable range of sizeable burgers (meat from Rodgers Butchers on Byres Road), specials will often go down the smoky/pulled meat/BBQ route, and good quality ingredients will usually carry the dishes through. The 20 plus types of White Russian have been a talking point since day one, and the ‘Gutter Ball’ (Kahlua, milk and Buckfast) is still on the menu and going strong. The corner unit they occupy means there’s a cracking outdoor seating area as well.